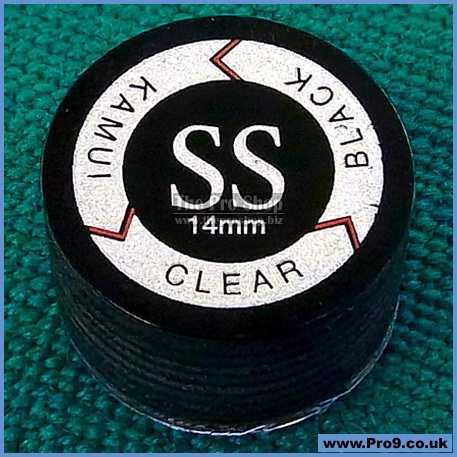 1 x Kamui Black CLEAR Super Soft Tip. NO MINIMUM ORDER! Achieve further consistency by limting the glue absorbed into the bottom layer of the tip. No sanding of the bottom layer is needed.Easy installation due to the flat surface of the glue side. 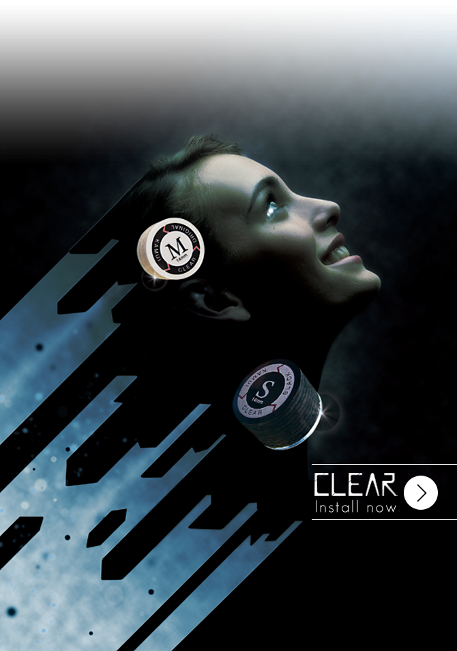 Minimal amount of glue guarantees a perfectly aligned installation to achieve the designed tip and cue performance. 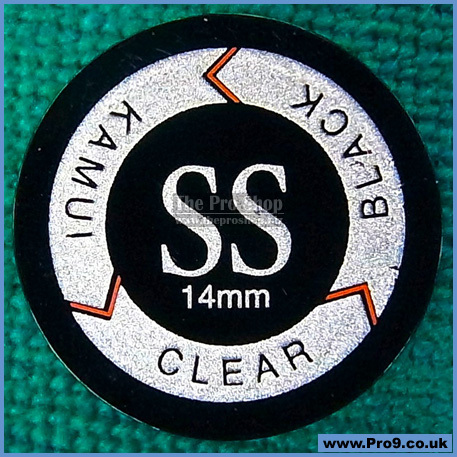 For installation, Use liquid base super glue like Loctite 401, in order to maximize the adhesion to the KAMUI CLEAR tip. Using the gel type super glue tends to be too thick resulting in longer drying time and a weak bond. Performance stability is very important when choosing a good cue tip. It is difficult to play consistent when a new tip does not feel the same as the last tip you had before.